I've had a really great February. At the beginning of the month, I got my first piece of 'mail' from America. 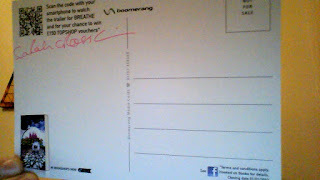 Inside, were signed postcards from Sarah Crossan(Author of Breathe-which I am reading at the moment). 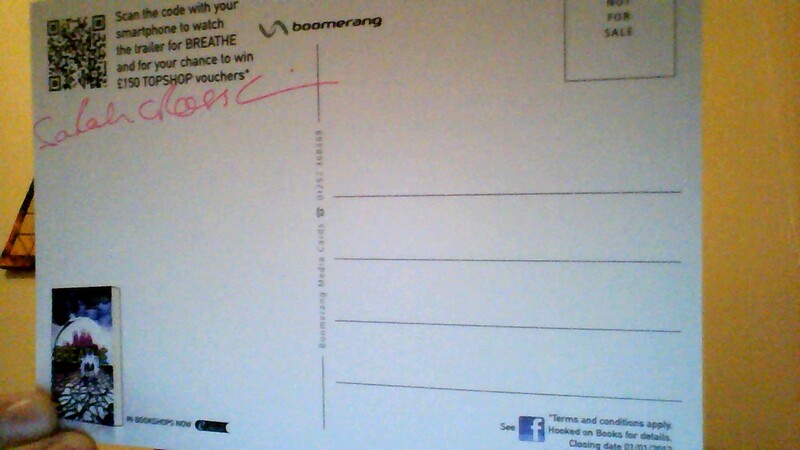 I love Sarah's autograph and how she signed in pink pen! I was very excited when these came through the post. Along with getting 'mail' I also received an invite onto my first Blog Tour just last week. I'm the host of the Geek Girl Blog Tour on 7th March and will be interviewing Holly Smale, the author. I had been counting down to the 13th February for months, so when it came I couldn't help sighing in relief and heading to my nearest cinema to see Beautiful Creatures with a friend. I completely enjoyed it, it wasn't just the romance and story I couldn't wait to see brought alive, but I was also always laughing at the humour in the adaptation. The ending was one of the biggest surprises I've had so I can't help saying I will be shocked if you don't make a sequel after leaving Beautiful Creatures on the cliff-hanger it did. 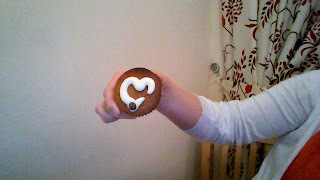 February was the month of St Valentine, which I always find really sweet. I spent my day typing up an English Essay but that's another story. The biggest part of this month for me was that I got to attend my first Conference. I learnt a lot at the Conference and met so many talented, friendly people and I spent most of the day talking to them. The great thing about a Conference is what you get to learn. I was one of the youngest there so, to get the chance to listen to people who have had experience of the Publishing Industry was a big thing to me. 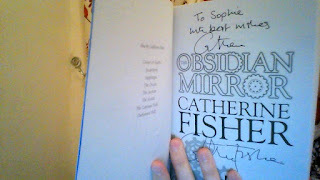 Catherine Fisher(New York Times bestselling author of Incarceon) was there-and when my dad dragged me over to get my book signed I couldn't help but be embarrassed. She was lovely, signing my book and engaging in a quick conversation with us. She also did a talk later that afternoon, which opened-my-eyes to how tough the publishing world actually is. 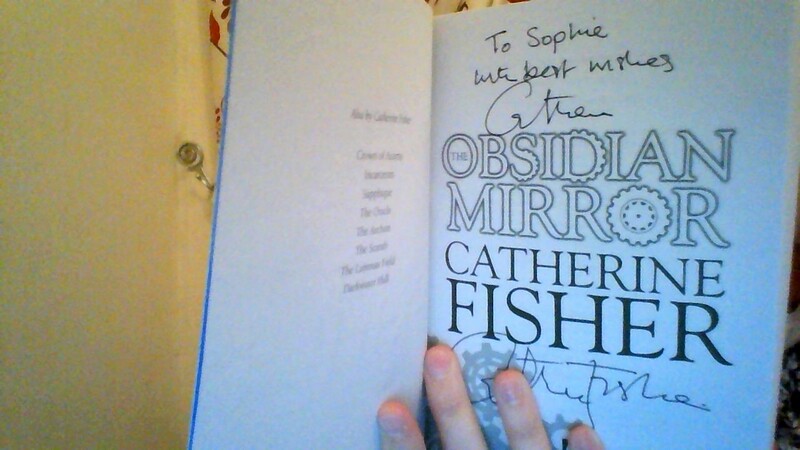 The talk itself was incredible, I was hanging onto her every word-I even got writing advice from her! Discussing The Hunger Games was also a big part of my day. I met one of the people who published it, naturally I was very excited. This year there are so many book to film adaptations marked on my calendar. Beautiful Creatures and Warm Bodies have already had their release dates but others I am looking forward to are The Host, The Mortal Instruments: City of Bones and of course, The Hunger Games: Catching Fire. Recently, there has been so much success for book adaptations, with Jennifer Lawrence's role in Silver Linings Playbook winning her an Oscar. When I first hear about my favourite book being adapted, The Fault in Our Stars is in the process of casting as I write this, I'm always excited. That is my thought, just to look forward to seeing my favourite book come alive but also, to have more people reading it. If there's one thing that is good about book adaptations is that more people pick up the book. The Hunger Games, Beautiful Creatures, The Twilight Saga and Divergent are all books that I have read because I've heard about the movie. Without them, it's unlikely I would have seen the excitement and decided to read them. Another thing I love about book adaptations is getting to see the world brought to life(As long as it's not awful). Most live up to expectations and have such detailed sets and costumes that bring the book to life. One thing I always watch out for is my favourite scene, who can't help wondering how it's going to look when it's brought to life? And, I'm always one to be involved with the excitement: seeing the characters be cast and knowing they are the one bringing your best-friend, or book-boyfriend to life, the first look at the trailer and stills, seeing it in the cinema for the first time. I'm constantly discussing the build-up and how it may turn out over Twitter. I'm the person posting day by day countdowns, screaming when the adverts appear, it's all part of being in love with a book. I think it's made books more popular over the years and let's confess, they are never going to be 'cool' but it's improved. People just openly discuss books now because of the movies. The Harry Potter films are just one look at how big books can be. But then it can all go wrong. You can spend months worrying or saying that the book is ruined because they have cast the completely wrong person(Everyone has done it). Or thinking 'Please don't adapt this book, you're just going to ruin it'. As much as I love book adaptations I sometimes feel like they are trying to adapt every single book. There are books, there are films. They are two different things. Not every book series or stand-alone that is successful needs to be adapted. I feel like producers are no longer just doing it because they see this amazing story in the material, but just because it's got followers and can make money. The worst thing for me is when they cut out some characters. If they are going to adapt the book they need to keep all the characters there. At times, this is really frustrating because it takes away the meaning of things or completely changes the plot and leaves you confused in the cinema. Luckily for me, I mostly find the films are great anyway and despite missing the character as I read about them, the film is a true adaptation. What more would you want? When they change the plot though, that is when I tend to hate them. They ruin the book and tear apart what was an amazing book for it just to be remember as 'a ruined book' or 'the worst book adaption I have ever seen'. I hate when 'Hollywood' decide to do this, try to improve it without even thinking about what the readers will think. This happened in Beautiful Creatures and I admit, I was slightly annoyed. They changed a main part of the story that confused me. Why do that? Do it the way fans would like to see them because that's the best way to see things. I always think I could do a much better job but despite complaining, most book adaptations I've seen, I have loved. My favourites are, The Hunger Games, Now Is Good(even though I haven't read the book yet) and The Twilight Saga: Breaking Dawn Part 2- it shocked me in a good way. It was the twist! I haven't read the books but I really enjoyed The Chronicles of Narnia and since I have read the first two Harry Potter's, I thought the films were good too. It's just so easy for books to be ruined when they are adapted although it's very hard to please everybody. If I had to pick a book I'd love to see My Sister Jodie by Jacqueline Wilson adapted. 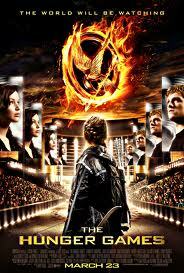 This year though, I'm very excited to see Catching Fire as well as The Fault in Our Stars grow and Divergent. What are you anticipating this year? Are there any book adaptations that let you down? Take a deep breath, I'm asking Sarah Crossan some quick-fire questions that are sure to leave you Breathless. 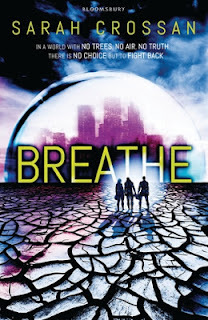 Sarah Crossan is the author of the gripping 2012 Dystopia 'Breathe' which is set in a society where oxygen levels have plummeted below the amount we need to survive after a time called 'The Switch'. Watch out for the sequel to 'Breathe'(Resist) this Autumn along with her other book 'The Weight of Water' which is also out now. Pen and Paper or Laptop? Pen and paper for verse to slow me down, laptop for prose to keep up the pace. Reading or Writing? Hmmm… reading. Dystopia or Present-day? Present-day dystopias?! Fiction or Non-fiction? Fiction, no question. I'm not a fan of the real world! Ice Cream or Cookies? Cookies please! The Pod or the Outlands? The Outlands… come on! Find out more about Sarah Crossan by visiting her website here ! A huge thank you to Sarah for letting me ask her these questions and for the hilarious answers. First of all, I have to mention my header designed by Emma over at The Graphicness for my amazing designs! They match everything my blog is about so, thank you for them. Tell me what you think in the comments below! Since I started blogging, I've found my love for reading and writing has grown along with becoming better at writing in general because of the experience I've been getting. Another thing I've also found is the fact that I've gained other interests and likes, continued some that I had before or just built on them. As well as this, I find it really interesting to find out what other bloggers like-which is why I decided to write this post. Even though I am a 'Book Blogger', it's not the only thing I enjoy. Reading is something I love and writing is a huge part of me. Except, I also enjoy music(although I've stop playing every musical instrument I've tried which includes: Recorder, Violin and Guitar) and I'm set on starting Piano Lessons since I'm interested in writing songs-but can't sing. 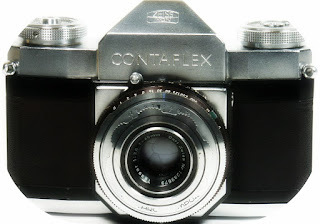 Another interest of mine is film. I'm planning on following through school and becoming a Director or Screenwriter if I can. Unlike other people I've talked to, I'm excited to watch the Oscars and I'm constantly looking at the latest film news. As I'm not that confident, and what happens behind the camera completely interests me, I adore film. I never dress on trend since I'm one to wear what I'm most comfortable in but, I'm a fan of fashion along with interior design. Vintage Designs and Styling are something I admire and can never stop looking at when in shops. I think it's the detail that you find in Vintage that is always so beautiful, along with the pastel colours combined. While, who can't help pouring over magazine pages full of fashion for hours? My final interest is Photography-vintage photography is my favourite-but I love capturing momenta you may not remember as clearly in your mind. Just like many bloggers I'm also a full-time Geek. Although, I don't choose to blog about these doesn't mean they are not equally a part of me. Books are something I'm passionate about so, I find it really easy to write about them. I think everybody should read, in our messed-up-society there's so much you can find in books. And most people need some imagination. Some Bloggers don't have other interests and some do. I can't blog about fashion very well at all but, you do see the occasional film review, music post and my blog has a vintage header to match what I like. After speaking to a few other Book Bloggers, I realised some people don't have many interests besides Reading, writing and blogging but there's no problem with that. While others have many, many others except most surround creative aspects such as art and music. I love to spend time with my friends and so do other bloggers. I find it really interesting to find out, although we share a main interest in blogging and reading, what other interests do people have. Not all book bloggers actually enjoy writing like I do. Reading & Writing are interests besides blogging too. It's really interesting though, after talking to Lucy(links below) to find out she enjoys reading, writing and blogging and they are her hobbies and she's so dedicated to that(And of course, the love we both share for our book-boyfriends) While Kyra-and we all blog about the same thing, enjoys drawing and music. It's something that defines our blogs right?So, all I want to know is do you have any other besides blogging and reading, if so what? Do you show this in your blog? One hidden by darkness once again. While waiting for the sun to shine again. Branches swaying in the wind. Is that all that there can be? As the rain pours down on me. Next time-I promise there will be a more up-beat poem! "My name is Harriet Manners and I am a Geek"
Harriet Manners is a Geek. She knows a cat has 32 muscles in each ear, a "jiffy" lasts 1/100th of a second, and the average person laughs 15 times per day. She knows that bats always turn left when exciting a cave and that peanuts are one of the ingredients of dynamite. But, she can't understand why she has the work Geek drawn in red marker pen on the outside pocket of her school satchel or why everybody at school hates her. So, when she is spotted by a top-fashion agent she grabs the chance to reinvent herself, to be part of her own metamorphosis. Even if it means stealing her best friend's dream, incurring the wrath of her arch enemy Alexa or repeatedly humiliating herself in front of the impossibly handsome Lion Boy who she met under an table.Even if it means lying to the people she loves. Venturing from one couture disaster to the next with the help of her overly enthusiastic father and her stalker Toby, Harriet begins to realise that the world of fashion doesn't seem to like her anymore than the real world did. Geek Girl was a book about going through your own 'metamorphosis' when you know a lot about everything but yourself. 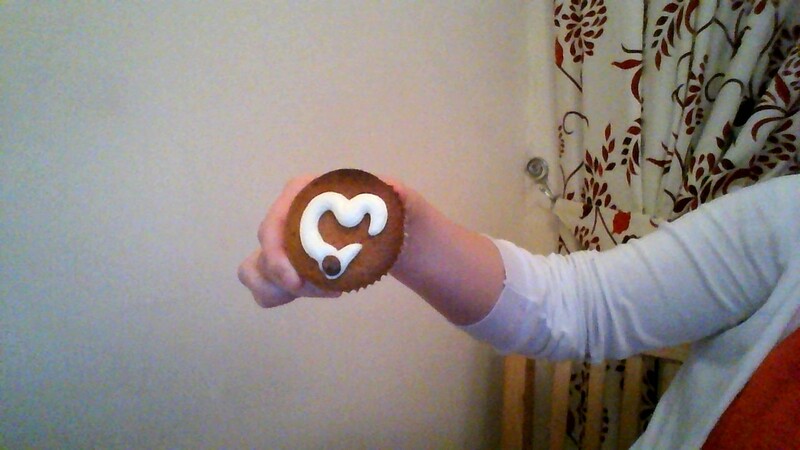 Told through the eyes of fifteen year-old Harriet Manners who, as she admits herself, is a Geek. Harriet is a completely relatable teenage that you will love to follow just like her very own stalker Toby. Throughout the book she struggles with friendship, trust and being who she really is, just like every teenager feels. With ups and downs, along with awkward moments and embarrassing habits Harriet is a realistic character you will enjoy every minute with. But, this was not your average coming-of-age novel. It was full of humour, handing you a book that is full of laugh out loud moments. Harriet herself is honest, smart but also full of personality. A character that I loved and was constantly hoping things would go right for. When you pick up this book you can't read a whole chapter without at least laughing once and anybody who has read it will put money on that. Holly Smale creates a highly entertaining read that you won't want to end. The characters in this novel are one's you want to be able to constantly read about. Along with funny and witty moments, I also learnt a lot from this novel. Harriet is always sharing interesting facts throughout the book that you will remember and want to share with whoever will listen. It was a fun, fab read that also had interesting and quirky personalities that filled the pages alongside Harriet. The writing(and book itself) was full of character, emotion and humour. Every part of the novel had twists in the plot-each turning Harriet's life upside down. There were also thrilling moments or one's that were so sweet they would make you sigh. This novel also gives you an insight into the world of fashion. A really competitive industry with young girls going up against eachother, full of jealousy and hatred. One of a dreaded, high end fashion designer. Or a place full of over-the-top, fashion-obsessed, advisors. And a gorgeous colleague nicknamed Lion Boy. Ethan Wate(Played by Alden Ehrenreich) was brought to life in this adaption along with the other characters that are loved from the books. Alden had the perfect portrayal of Ethan that was both moving and emotional but one that you could see the fight for Lena in. He fought for Lena throughout the film, and his love was clear throughout. Ethan also had some sayings that were so beautiful, and dug deep into the character. Lena Duchannes(Played by Alice Englert) was also a powerful gothic supernatural, with her struggle throughout the book, alive on screen but one that also brought a normal-teenage girl to life. The chemistry between Ethan and Lena was never forced, Alden and Alice completed embodied their characters and all they wanted to do was protect eachother. Macon Ravenwood and Link also brought humour to this adaption with Macon being wise yet exactly how he would be imagined when reading. The way both the Light and the Dark sides and Gatlin was brought to life was magical. The plot built with excitement along with some gripping twists and turns that were unpredictable. It was also moving and tear-jerking that made a beautiful film. It was also funny and witty, parts that brought more to what could be seen as a serious film. Book to film adaptions also allow you to see things you don't get to see in the book. New parts were added that were perfect in the film and gave you an understanding of the plot beyond what the main character can see. My favourite scenes were one's from another character's perspective, which were all amazing to see. It also had gorgeous set designs and costumes. There were some CGI effects but all of them felt real. Seeing the Casters being brought to life along with their powers was great. One thing I will point out is that you can't go into this adaptation expecting an exact replica of the book. There are changes to the plot, that change important parts in the story, with a twist ending that will leave you shocked but anticipating a sequel. The climax to the ending was fantastic, I preferred the ending to the film than the one of the books as it leaves you wanting to know what happens next. Although, there were things I missed about the book, some parts it was better without. The book was adapted here but despite the changes, It still delivered. It gave a supernatural romance with characters to root-for. "Beautiful Creatures was an exciting, captivating adaption that took you into Gatlin and the world of the Dark and Light Casters. 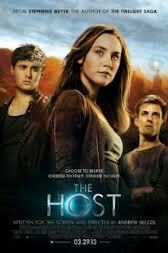 It brought to life a gothic romance with great chemistry between Lena and Ethan that was also moving and funny. Although it was not the exact book and had changes, it had a shocking twist-ending that left the door wide open to a very anticipated sequel. A film that you will love and want to see again and again"
I am a Geek. I'll admit it. I like going to school and learning along with reading(a lot) and being on the internet. I can't help loving quotes and doing well. It's what makes me who I am. In this generation, people are bullied and name-called for being smart(or a Geek) but why? 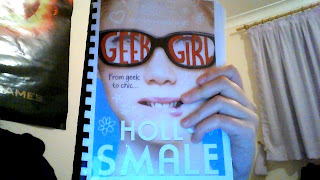 Although, things are looking up for us Geeks with the release of 'Geek Girl' by Holly Smale. Yet to be even published it's already making people feel proud to be Geeks and ignore those who decide we should be bullied or laughed at. 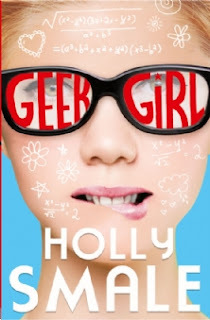 After reading Geek Girl, it gives you a different perspective on being a Geek. It's nothing to want to change but something to express and show(And not through wearing huge jumpers with GEEK printed across it). A Geek is something to celebrate. It's our interests. And it's a great thing to be smart because you have the privilege to learn more. And to be someone. Although, being a Geek isn't something to be singled out for bullying for. I speak from my own experience that working hard in school allows names to be thrown at you. Even when you answer a question or have your level called out and people groan. (It happened to one of my friends on Friday). It's really time that changed. And maybe Geek Girl is going to make sure being a Geek is something to be celebrated. There's nothing wrong with liking to learn or loving to read. I wish I had understood this all earlier. But, a Geek is nothing to be ashamed of. I'm proud of being one. So, we are not considered 'cool' but I'm OK with that. I'd prefer to be happy with a book in my hand or doing well in school than kissing more boys than I count and dressing in the shortest skirts I could find. 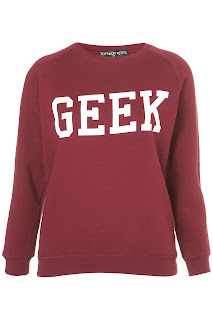 I was pointed out to the way people wear Geeky Glasses and jumpers saying Geek last week and how demeaning they are. 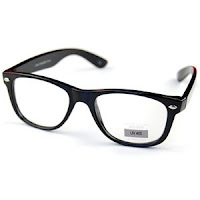 It was a huge fashion trend last year, wearing huge glasses, so how is a Geek still un-cool? They laugh at us for a love of reading but then it's cool for them to wear jumpers stating that they are a GEEK? (Although, I can't help loving wearing the glasses myself) It's very stereo-type too, being a Geek. We all wear huge old fashioned glasses and spend all our spare time hiding away studying. Each and every one of us doesn't go out with friends but stays inside doing homework that hasn't been set yet. I, just like a few others Bloggers received Geek Girl badges last week from Harper Collins. They are the cutest badges I have and something I have pride in wearing. It shows who you are without having to hide it. It's 2013 and people still can't be who they are in fear of not being able to fit in with the 'cool' people in school. But, it's time it all changed. A Geek being who is 'socially rejected' from the definition in a dictionary but why are we? There's no need to be rejected because we have knowledge. Personally myself, I'm no longer ashamed to be a Geek. I used to get upset about not being able to fit-in properly or being laughed at. I'll admit, I'll probably never stop being upset over what people say(Comments being 'You have no life' which I don't believe). It's time that being a Geek is celebrated and me and Lucy are already wearing our badges with pride. Are you ashamed to be a Geek? Or do you think it's something to be proud of? Are you wearing your Geek Glasses with Pride? The music plays like a symphony as I make my way through the meadow. There was no escape from what was ringing in my ears, but yet it was beautiful. There are still birds: just a few, but they make themselves heard over the drowning music. It's like being in two different places-all at once. My dress, the trail dragging behind me, the deep black silk moving as one against m body. There is one leave left on the tree-which I think is a Willow tree. Flowers bloom in assorted places across the meadow: roses, tulips and daisies. I admit, I've never seen a place like this but I wouldn't be hear unless the music was playing. It's pulling me in, guiding me somewhere. Maybe I will wake up in a moment and laugh at my general stupidity. Walking through a meadow as the sun sets, but there is no end to this meadow. There is though, a split in the middle, a dust path taking up the space. I decide to take it, thinking it could be my only clue. As I get further into well, I'm not sure what but It builds up. The music becomes sharper and quicker, the tempo picking up. Whether I should see this as a warning or a sign I'm not too sure, but decide to take it as something to discover. My blonde hair hangs at waist-length, slightly knotted from the occasional gust of wind. With my feet bare, I can feel the ground beneath me: it's still hot from the day. I'm getting closer, I can feel it. There is something that has triggered a shiver down my spine. I'm sent into a deep, dark forest by the path that is becoming less and less reliable as I make my way. I tuck my hair behind my ear and take another step into the darkness. The path is hardly visible anymore but somehow I know my way. I hear the faint sound of branches hitting one another, as if they were having a dispute like I have with my younger sister. It's probably nothing. Up above me what looks like a Raven flies by and I stop and stare long after it has flown by. The darkness, the length in it's wings, the effortless power there. The faint howl of what I can only guess is a wolf makes me jump, sending me into a rock. I groan in pain but after assessing myself for wounds I see nothing serious, just a few scratches cutting across my side. Only, they seem to disappear. One minute there, one minute gone. Wounds healed in a second. Just like that. I realise the music has stopped, which makes the silence all the more piercing. In a place where there is only hope. Hope: the one thing I'm forcing myself to believe. Last resorts welcome I decide to pinch myself but as I had guessed, nothing happens. My mouth is dry though, my tongue like sandpaper with the pain when I swallow reaching a point when I know I need to drink. I have no way to find a lake or a river in this place. I'm disorientated and I'm lost. I'm alone in the one place that I may want to share as well as get out of immediately. Accept, that is when one of the strangest things happen, a map appears. In my left hand, wrapped up in a red ribbon like a old scroll. Even the paper looks dated and aged. Like it has been around for longer than I have lived. I take a look around me and with no one in sight and slowly open the scroll. A river, surrounding by a crystal clear water-fall, snow tipped-mountains, deep dark forests, lands of enchanted animals and instruments moving on their own. No control available. It all flashes by me only to turn into a new world. And one that I am now living in. It's 1899 and the new century is now approaching. Penelope Tredwell is the thirteen-year-old owner of The Penny Dreadful, at the most competitive time of Literacy London: magazine stands filled with the creations of H.G. Wells, Arthur Conan Doyle and H. Rider Haggard. Writing under the pen name of Montgomery Flinch, she creates sinister and spine-tingling tales to grip all readers. Always seeking the next venomous plot for her magazine's pages, she is intrigued when Montgomery Flinch receives a letter from Bedlam. Every night at twelve minutes to midnight, the inmates of the notorious hospital for the insane rise, rise from their beds and begin scribbling on any surface they can find. To everyone who reads them, they make no sense but Penny wants to discover the truth. But, what can they mean? Soon she's ensnared in a venomous plot to try and fill the pages of her bestselling magazine. Although, it doesn't take her long to discover that these pieces don't make up a story, it's the future. And the future looks deadly. 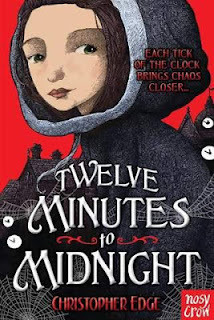 Twelve Minutes to Midnight was a page-turning, exciting mystery novel that I couldn't put down. It combined historic elements from the time is was set along with the intense mystery surrounding London's Bedlam. With detailed descriptions, Christopher Edge was able to capture you into this exhilarating plot. 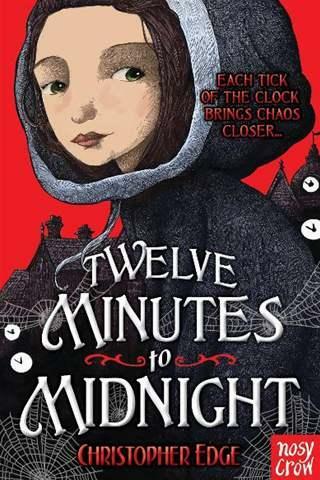 This novel, told mainly through the eyes of thirteen-year-old Penelope Dreadful, brought you back in time into one of the strongest literacy times: Literacy London. It was a detailed descriptions of the main places that were in London and are still there today but were also beautiful to read with a rich-gothic style of writing. It became a sinister adventure novel, with a dark and daring plot. It was a book that I wasn't expecting to be one I enjoyed so much. I loved the way it made you feel like you were inside this plot. Penelope Dreadful was insightful, bold, smart and a female-heroine I loved to read about. Penny was feisty and un-flinching no matter what situations she came up against. A young girl that questions everything but also is so wise that she understands what is going on. The plot Penny was trapped in became a fight for humanity. Being under the pen name of Montgomery Flinch is really a challenge for Penny as all she wants is to be recognised for being able to write these bear-knuckle tales. Although, I found I could relate to Penny through her love for writing but the fact she is a teenage girl. In many points in the novel she is wearing dresses and wants to be involved where she can't. The team that surrounds her are also interesting with different personalities coming into one novel. I loved how their relationships grew throughout the novel and how it was clear that Penny loved them having lost her own parents. A few weeks ago The Daily Mail commented on the recent bestselling books, nicknamed by them Sick Lit(Literature). Books under this category are the recent craze: The Fault in Our Stars, Now Is Good and others dealing with subjects such as Cancer & Illness for a teenage audience. With most adults agreeing that this type of 'sick' book shouldn't be published, I can't help but disagree. The Fault In Our Stars was a beautiful book and I think it opens your eyes to illness and makes you more aware about the consequences. I don't think that there should be a problem with this type of novel unless they are untruthful or decide to offend people with an illness, which most of these do not. Most young teens who read this type of novel enjoy them-although you always need your box of tissue's close by. It does allow people to read and makes them read so I think it can been seen as a good thing in some ways. I understand where this argument may come from as some novels-such as Now Is Good where the protagonist Tessa has a bucket list to complete before she dies, aren't as realistic as it would be in reality. I can really feel the pain In these books from the main character and it teachers you about the consequences of illness. The hope, the fight are all packed into this type of book. I can never see a problem when I know that the book is honest-not lying about the topic or as they call 'watering it down'. The Fault in Our Stars dealt with how it feels for the family during that time and it gains awareness. I never realised how Cancer effected the family in such a bold way and if these books give some understanding, they should be celebrated. To get so much emotion and power across in a novel makes a masterpiece. Most people say that a Cotemporary novel of this type always end of a vivid scene detailing the main character's death. Sadly, this is how it does end sometimes in reality this happens but not always in a novel. It leaves the ending to you or changing the plot-I love the fact it takes you on a journey with these characters. Even though this type of book is labelled as 'YA Sick Lit' - I can't help enjoying this type of novel. The Daily Mail should be supporting the fact that, if people are reading, it's something good. They shouldn't be complaining about this, people reading is a good thing. Although, I can't help commenting on sometimes they are unrealistic. Now Is Good-despite being an amazing book and adaptation with(as I have a slight obsession with quotes) some gorgeous quotes-has it's flaws. Not with the beauty of the novel but how nobody suffering from an illness would be able to do what Tessa does and attempt to complete a long bucket list. Combining Number One on the list being romance, nobody with Cancer would be looking to do this. Yet, YA Sick Lit doesn't just come under books about illness they deal with topics such as self-harm. I think that books about self-harm can go too far, despite having not read one myself, it's clear writing a novel about it can cause pain. I think if you cross a line there is a problem, but as long as it is kept in mind about the respect and age appropriate audience you are writing for/about there is no problem there. In some ways, these books raise some awareness for Cancer Sufferers. What do you think about this argument ? By the way, congrats to Lucy on her amazing part in The Daily Mail about this topic! The first month of the year has been and gone, 2013 is now well under-way. Here's my wrap-up of what I have been up to this month. At the beginning of the month, I of course had to drag myself to school after the Christmas Holidays! I'm in the middle of choosing my options at the moment and in some ways I'm really enjoying finally being able to get a choice in what I do but In other ways it can be stressful. You've really got to think about whether you will enjoy it, coursework, exam marks etc. But then the snow-hit and we got buried in it for a week! I did only get ONE Snow day off from school which was the first Friday but we spent the whole weekend having fun in the snow: built an amazing snowman that had a glowing red nose, had seven snow-ball fights in the one day that proved to result in a broken window and blamed It on my dad, playing outside in blizzards and drinking too much hot-chocolate. We did have more snow but schools were open so we enjoyed 'sledging' to school and getting covered In snow on the way back when it decided to fall from the sky! I finally got to read my first John Green book, The Fault in Our Stars, which was heart-breaking! I admit, I was sobbing at the end. It really impressed me! Next is Paper Towns! I also got my first Manuscript & Press Pack from the lovely people at Harper Collins. It's called Geek Girl(By Holly Smale) and came with some awesome Geek badges that have little black geek glasses on them and cute business cards. I was literally jumping-up-and-down with excitement when I heard it had come. I was literally wearing my badge all night! I also received another book called Dear Scarlett(By Fluer Hitchcock) which I admit I haven't started yet but have been wanting to read for months so I was very happy when I was told it was coming through the post! I've also been digging my way through the albums I had for Christmas and been constantly playing RED! And have found a new favourite t.v. programme called Charmed(You need to watch it if you're a fan of supernatural books! )-it's amazing! I've also been looking into going to some bookish things this year which I'm really excited about! 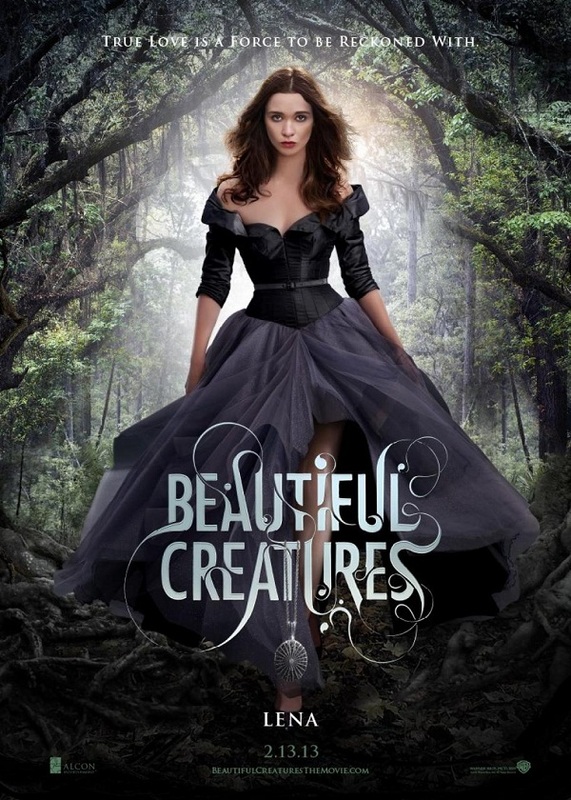 And-now it's February it means that we are in the month of Beautiful Creatures!